Finally! Dye Sublimated Lanyards made right here in the US! Our dye sublimated process ensures a long lasting imprint, beautifully executed with a silky texture. 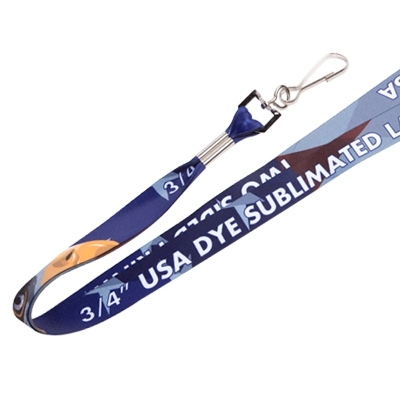 All our Dye Sublimated Lanyards include two sided printing in full color CMYK process. This lanyard is the best choice for complex designs. Price Includes: Full color imprint on both sides, Premium crimp, Digital proof and choice of standard attachment.